[News] 'Yonsama' Bae Yong Joon received thousands of “Thank You” letters from Japan Tsunami victims. Bae Yong Joon received thousands of “Thank You” letters from Japan Tsunami victims. According to “Nikkan Sports” of Japan, Bae Yong Joon received thousands of “Thank You” letters from Japan Tsunami victims. On March 15th, as a foreigner, Bae Yong Joon donated one billion won for the disaster, fifteen thousands of blankets and 3 medical vehicles which were delivered to the damaged areas. Victims who received relief items from Bae Yong Joon wrote him letters or sent pictures. The letters showed their gratitude by saying, “I appreciate you sending us water and drinks which are the items mostly needed at a shelter.”, “I can’t repay you right now, but I’m going to learn Korean earnestly to show my gratitude in Korean.”. Bae Yong Joon donated one billion won to the Cabinet Government Funds which was directed by Prime Minister of Japan to help Japan Tsunami victims. The tsunami occurred on March 11th. 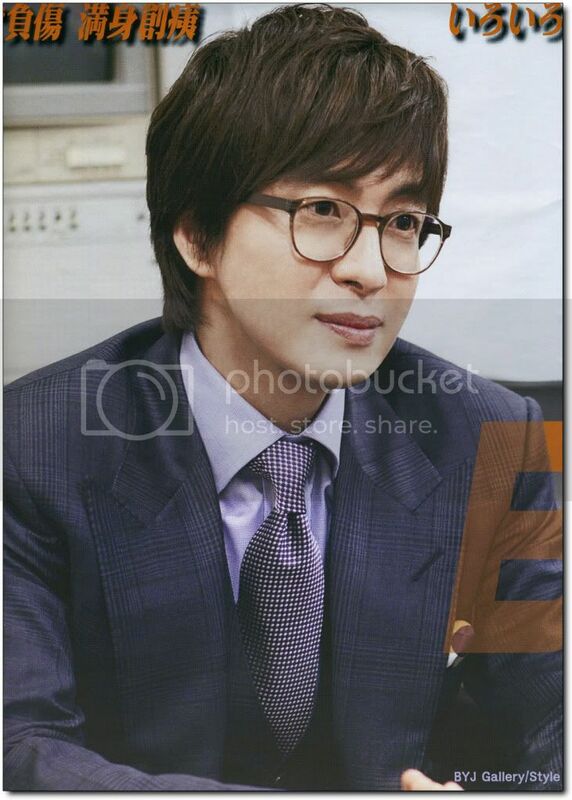 [Interview] Bae Yong Joon Exclusive Interview for “Choa” No.4 magazine. “Exclusive Interview”; Extracted contents which weren’t in the newspaper. Q: You look a little slimmer compared to the last time when you visited Japan at the end of last year. BYJ: Yes. Even my muscles have loosened up a bit. I have to exercise, but my condition is not at that stage yet. It seems like I’m going to train after multiple rehabilitations. Actually, I still can’t feel my second finger. It looks numb a bit and doesn't have much feeling. Q： I heard that you started to raise a big dog. How about do you regain your health with a dog? Q: Then, you, daddy, have to protect him. Thank you. [News] Bae Yong Joon, “I’m a pet lover, too!” He was fascinated with the 3 months old dog’s cute acts. 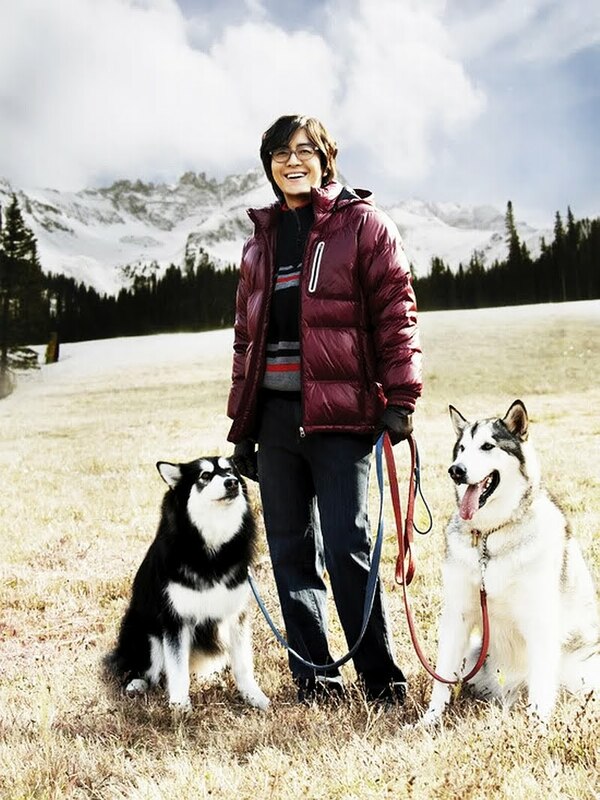 Bae Yong Joon joined a “Pet Lover” group. Recently he adopted a 3 month old white dog and has fallen into raising him/her. Currently, he lives alone at the house in Seongbuk-dong that was remodeled. It seems that he might be experiencing loneliness and emptiness since he has been living in a big house alone, but his dog is filling that empty space. [News] Kim Rae-won and Soo Ae "A Thousand Days’ Promise,” First Poster and Teaser Released. A teaser poster has been released for the upcoming SBS drama, "A Thousand Days’ Promise,” which will broadcast starting from October 17. In the teaser, which gives off the vibe of a classic melodrama, a woman named Suh Yeon (Soo Ae) can be seen trying to touch her love’s fading memory just one more time. In particular, the teaser gained a lot of attention due to its fantasy like atmosphere as the audience sees Ji Hyung (Kim Rae Won) fading away with the flower petals from inside Suh Yeon’s head as she loses her memory to Alzheimer’s disease. After seeing the ardent and sad love story expressed through the teaser poster alone, expectations have been raised, as viewers await the next poster to see how it will convey the plot of the drama. 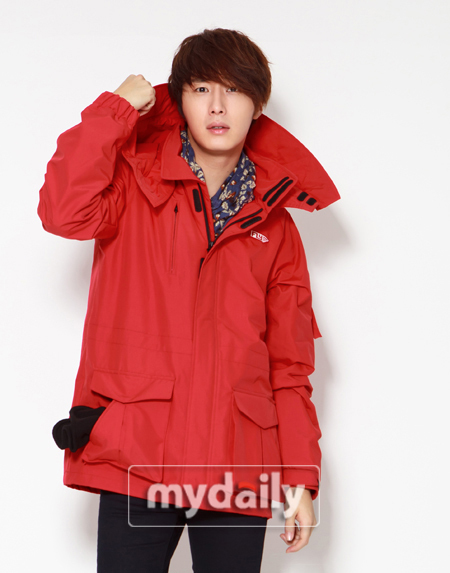 [Photo & News] Fashionista Jung Il Woo is the New Face of 'GOOGIMS CO'. Jung Il Woo is the new face of fashion brand GOOGIMS COMPANY for the upcoming fall/winter season. In the released photos, Jung Il Woo is sporting some of the upcoming season’s must haves – jumpers, mufflers, and a cute beanie, displaying a warm, sporty fashion style. Meanwhile, Jung Il Woo is busy filming for his upcoming rom-com drama “Flower Boys of the Ramen Shop,” slated to premiere October 31 on TvN at 11PM KST. [News] No Min-woo-I and Hwang Jung-eum right to Hallyu Stardom? No Min-woo-I and Hwang Jung-eum have been cast for the drama "Full House 2". No Min-woo-I and Hwang Jung-eum were selected as the leading characters of "Full House 2" on September 29th. Based on an original comic by Won Soo-yun, "Full House" was done by Rain and Song Hye-kyo in 2004. Netizens say, "I wonder what kind of a "Full House" No Min-woo-I would make", "This cast is so different from the Rain and Song Hye-kyo cast", "I hope they can stand in the middle of Hallyu" and more. [News] 'Protect the Boss’ celebrates the end with a cake given by Jaejoong’s fans. Photos from the last day of filming for SBS‘s ‘Protect the Boss’ were uploaded through a staff member’s Twitter account. In the first photo, Kim Jaejoong and Park Young Gyu can be seen standing in the center getting ready to cut the cake in the photo below. The beautiful cake, which was prepared by Jaejoong’s fans, is adorned with a ‘Protect the Boss’ logo and the silhouettes of Jaejoong, Ji Sung, Choi Kang Hee, and Wang Ji Hye. [Photo & News] Lee Ji-ah, Kim Jae-won, Han Go Eun and Lee Ki Kwang attend first script reading for new drama. Lee Ji-ah, Kim Jae-won, Han Go Eun and Lee Ki Kwang and Extended Cast have attended their first script reading session for their upcoming TV series. A press release from the major broadcaster announced that Lee, Kim and the rest of the cast of the new series "Me Too, Flower!" (tentative title) took part in the first reading for the show in Seoul earlier in the week. "I feel that the actors in the show are one step closer to becoming their characters," director Ko Dong-sun was quoted as saying. "I'm really glad that Lee and the others suit them very well." The series will tell the story of Seo Jae-hee (Kim), the owner of a designer label shop and a parking attendant, who falls in love with an ill-tempered policewoman named Cha Bong-sun (Lee). The romantic comedy will be helmed by Ko Dong-sun of "Queen of Housewives" (MBC, 2009) and written by scenarist Kim Do-woo of MBC's 2005 smash hit "My Name is Kim Sam-soon." "Me Too, Flower!" set to air in early November after current series "Hate to Lose" finishes its run, also stars BEAST member Gi-kwang, Han Go-eun and Seo Hyo-rim. [News] T-ara Eunjung being considered for "Queen Insu" historical drama. Girl group T-ara member Eunjung is being considered for a role in a new historical drama. An official with her agency Core Contents Media told 10Asia over the phone on Thursday that Eunjung has been asked to play Joseon Dynasty's Queen Sohye in the series tentatively titled "Queen Insu." However, the official said it "will not be easy to decide on doing the show" due to T-ara's upcoming activities in Korea and Japan -- they recently made a debut in Japan and are set to release a new album in Korea in early November. If Eunjung takes on the role she will play a young Queen Sohye while actress Chae Shi-ra is said to have been asked to play the queen of when she is older. Queen Sohye, also known as Queen Insu, was the mother of Seongjong, the ninth king of the Joseon Dynasty. The drama, set to show on JoongAng Ilbo's new general programming cable channel jTBC in early December, will revolve around Queen Sohye's life. Eunjung, 23, is not new to the acting scene, having made her debut as a child actor in the early 1990s. She has displayed her acting skills in various roles ever since including in SBS TV series "Coffee House" (2010), KBS' music drama "Dream High" (2011) and films "Death Bell" (2008) and "White" (2011). She has also appeared in two historical dramas so far including SBS series "The Land" in 2005 and KBS series "The King of Legend" this year. 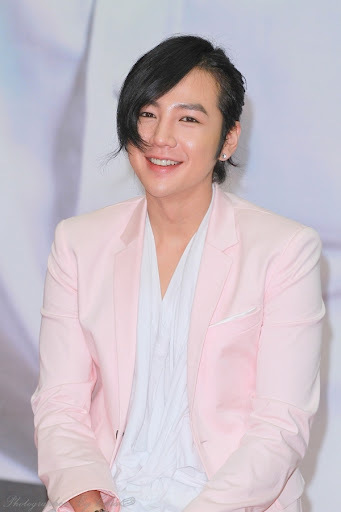 [News] Jang Geun Suk to host a solo concert at the Tokyo Dome. Thanks to an explosive level of demand from his Japanese fans, Hallyu idol Jang Geun Suk will be taking the stage at the famed Tokyo Dome for a solo concert! 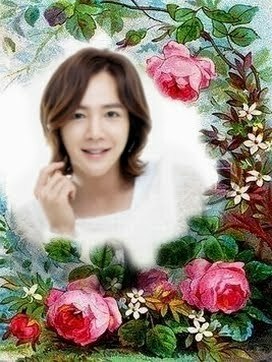 Since the tickets to his 2011 Japanese tour sold out in five minutes, requests started flooding in for Jang Geun Suk to add an extra concert. The Tokyo Dome concert was then added to his tour, which has been scheduled to hit up the cities of Nagoya, Osaka, and Tokyo in October. The Tokyo Dome stage will take place on November 26th, and will feature sets and lighting reminiscent of a musical production. Stay tuned for more on this exciting event! [News] Kim Rae-won in an assault rumor, rally in a hostess bar? While Kim Rae-won is mixed up in an assault rumor, fans are getting disappointed. According to report by a media, Kim Rae-won got into a fight with a hostess in a luxury hostess bar in Seoul on the 29th around 4 AM. His management agrees that he had a rally in a hostess bar but claims that he was only helping to break the fight with the hostesses apart but not in it. However, netizen's are still giving him the suspicious eye. He was familiar with the public as in his filmography he is a wiry and proper young man but whatever the reason, his involvement with 'hostess assault' is bringing great shame. It is a person's rights to be able to go to a hostess bar for a rally meet. But the fact that a rumor is spreading in his name is a big mistake on his part. Kim Rae-won needs to make sure he states clearly in isolation from his management that, "I went to the bar but didn't get in a fight". This is good enough reason for an apology for a celebrity star who is known and loved by fans as much as he has caused disappointment on them. [News] Cast attends production conference for SBS’s historical drama, ‘A Tree of Deep Roots’. On September 29th, the cast of SBS‘s new historical drama, ‘A Tree of Deep Roots‘, attended the production conference held at the Imperial Palace Hotel in Nonhyun-dong, Seoul. The drama, an interpretation of King Sejong’s life, will begin airing on October 5. [News] Park Min Young Cuts Her Hair Short for the First Time Since Debut for “Glory Jane” or "Man of Honor". Park Min Young had cut her hair for the first time in 5 years since her debut for an upcoming drama, “Glory Jane” or "Man of Honor". Park Min Young is to star in the drama planned to be aired after “The Princess’s Man” on October 12. She plays the role of Jane, even though Jane is facing many hardships throughout the drama, she will overcome the hardships with her positive attitudes and her bright personality. Park Min Young has drastically transformed from a long hairstyle to a neat and short hairstyle. Park Min Young’s short hairstyle portrays a cuter image. Park Min Young has chosen to drastically transform because her character has a very bright personality and is also a person with strong vitalities. She thought that the short, neat and simple hairstyle would describe her character better. [News] Photos emerge of Choi Siwon and Lee Si Young’s on-set rehearsal photos. A few photos of Choi Siwon and Lee Si Young from behind-the-scenes of their new drama, ‘Poseidon‘, have recently hit the web. The friendly duo are seen looking over their lines and script together from time to time between scenes. It’s been said that the lines for ‘Poseidon’ are longer than most scripts because of its detailed investigation scenes. The two actors are spotted memorizing their lines together during standby, even taking quick moments to rehearse. Staff on set are reporting that Choi Siwon and Lee Si Young are becoming fast friends, as they share advice and constructive criticisms to make the scenes as natural in its flow as they can. An associate of Annex Telecom commented, “The set is always full of energy due to these intensely driven and energetic actors“. Have you been keeping up with ‘Poseidon’? What do you think of their acting so far? [News] ‘Boys Over Flowers’ Kim Joon enlists in the military. On September 29th, at 1:30pm KST, Kim Joon entered the Chungnam Nonsan army camp, where he will undergo 4 weeks of basic military training before serving as a military policeman. Before entering the camp, Kim Joon tweeted, “Since a lot of people are worried about me, I guess I won’t have to worry. There are more things I want to do right now and I want to continue reaching for my dreams, but I’ll put my greed side by taking control of my emotions and return safely”. He continued, “I’ll become closer to this ‘Kim Joon’ person that I’ve been neglecting and return quickly”. Kim Joon joined the group T-Max in 2007 and later earned his fame by playing Song Woo Bin in the extremely popular KBS drama, ‘Boys Over Flowers‘. Additionally, T-Max left a final gift for their fans before Kim Joon’s enlistment with a new track. Titled, “She is Crying”, it’s a ballad song with a sad tempo and tells of a man’s confession of seeking forgiveness and the pain of farewell from his lover. [News] Taecyeon to Have J-Drama Acting Debut in “My 99 Days With a Star” Alongside Kim Tae Hee. [News] Jang Hyuk said did not want to take role in "Tree" at first. Jang Hyuk says he had originally thought of turning down upcoming SBS TV series "Deep Rooted Tree." Jang made the remark during the press conference held in Seoul on Thursday for the new historical saga while telling local reporters that he initially had no thoughts to take on his character Kang Chae-yoon, a low-level guard for the King. "I didn't find Kang that appealing since there were far more interesting characters to the show's original story," Jang said. "But after reading the synopsis and script, I realized that my character had been dramatized." "Kang seemed to have become the narrator of the show and as the drama progresses, he became more rich in character and just different from who he was in the original work," Jang explained. "Deep Rooted Tree," the small screen adaptation of a novel by author Lee Jung-myung, tells the story of Kang Kang investigating a case involving the serial murder of Jiphyeonjeon scholars in the Gyeongbok Palace while the king (Han Suk-kyu) comes to create the Korean written language a few days later. The show, also starring Korean actress Shin Se-gyeong and Song Joong-ki, will take over the Wednesday and Thursday primetime slot starting October 5 after current series "Protect the Boss" finishes its run. [News] Kim Rae-won did not scuffle with bar employee, says rep.
Kim Rae-won's agency has denied that Kim got a female employee of a bar injured while fighting with her. Early on Thursday, reports said that Kim, while drinking with people of his agency Bless Entertainment at a bar in Seoul's Gangnam district last night, got into a physical scuffle with with a worker there. However, an official with his agency Bless Entertainment told 10Asia over the phone, "There was some commotion while Kim was trying to stop an argument which broke out between the woman and an employee of ours but there was no physical fighting between her and Kim." The official then added, "We even apologized for the commotion we caused...... It was a situation that wasn't problematic." In the meantime, Kim has been readying for his return to the small screen for the first time since being discharged from the military late last month. The drama, tentatively titled "Chun-il's Promise" and co-starring actress Soo Ae, is set to premiere on October 17. Kim, 30, made his debut in 1997 and became a household name in 2003 after starring in MBC TV series "Rooftop Room Cat." He last starred as a chef in SBS' "Gourmet," which also aired in several countries in Asia, before entering the military in September 2009. [News] Hwang Jung-eum, No Min-woo likely to take on "Full House" sequel. Actress Hwang Jung-eum and actor No Min-woo are likely to play the main characters in the sequel to 2004 smash hit TV series "Full House." An official with their agency Core Contents Media told 10Asia over the phone on Thursday that both actors "have been eyeing the project positively and are almost set to star in the show." From weeks ago, Hwang and No have been considered for the roles that actress Song Hye-kyo and actor-singer Rain took on, respectively, in the first series. The original series was based on 16-volume comic series by Won Soo-yeon which was popular among Korean readers from when it started to be published in 1994. No, who debuted in 2004, made his name known more recently through TV series "Pasta" (MBC, 2010) and "Midas" (SBS, 2011). Hwang, debuted as a singer in 2002 but gained recognition after appearing in MBC reality show "We are Married" in 2009 with her boyfriend Kim Yong-joon of male group SG Wannabe. Her last acting gig was in MBC TV series "Listen to My Heart" this year with actors Kim Jae-won and Namgung Min. [News] Han Ga In's No Makeup Face at the Airport. On September 25, Han Ga In was spotted at the Incheon Airport, leaving Korea for a photoshoot in Paris. It was easy to distinguish her from the crowd due to her good looks, bright smile, and stylish fashion. All throughout the airport, people kept turning their heads. After getting out of her van, Han Ga In had to walk across the parking lot to get inside the airport. It was early in the morning, but her face was lively and glowing. Even after noticing the paparazzi, she wasn't nervous or overwhelmed. She lightly waved hello and smiled at the cameras. What's even more surprising is that she had no makeup on. She was definitely sporting the bare face, but there were no flaws. Her skin was clear and smooth, and her complexion was that of a makeup model. Han Ga In's airport fashion was chic as well. She wore a beige colored trench coat, matched with grey jeans. The coat was tied at the waist for a slimmer fit. To contrast the black shirt, she wore white Oxfords. Her hair was gathered back into a cool simple bun, emphasizing her facial features. Before entering the exit gate, Han Ga In was seen making a last minute phone call. It was, of course, to her husband Yun Jung Hoon. Her husband told her how much he worried about her health, while she worried for his tiring drama schedule. The quick check-up call lasted ten minutes. Although the couple have been married for six years, they are still like a honeymoon couple. Right before boarding the plane, Han Ga in delivered excellent fan service by turning to the cameras and giving a bright, warm smile. In Paris, she will be showing a new kind of charm in the photoshoots. We will await your comeback in Korea! [News] Park Si-hoo likely to star in Jeong Jae-young pic. Park Si-hoo is likely to appear in a movie opposite top actor Jeong Jae-young, according to Park's agency on Thursday. An official at Eyagi Entertainment told 10Asia over the phone that Park is in final discussions for the film named "I'm a Murderer" (translated title) with there being a "high chance" of him signing on. The movie will tell about a serial murderer who makes a bestseller out of a book he writes on the crimes he has committed after the statute of limitations on his cases expire and a detective, played by Jeong, who will chase after him. Jeong is set to start filming the movie in early October, after he finishes promoting his current pic "Countdown" co-starring actress Jeon Do-youn and if Park joins the movie, he will take part in the shoot as soon as his TV series "The Princess' Man" finishes its run next week. Park, 33, made his debut through a cameo appearance in KBS drama "Delightful Girl Choon Hyang" in 2005 and continued to appear in several dramas soon after including "Iljimae" and "Family's Honor." He then appeared in popular series "Princess Prosecutor" (SBS, 2010) and "Queen of Reversals" (MBC, 2010). [News] Japan, Yonsama Syndrome has remained unchanged. Hallyu Department Stores are prosperous. Special Edition to Commemorate the Foundation of the Journal ①] Japan, Yonsama Syndrome has remained unchanged. Hallyu Department Stores are prosperous. 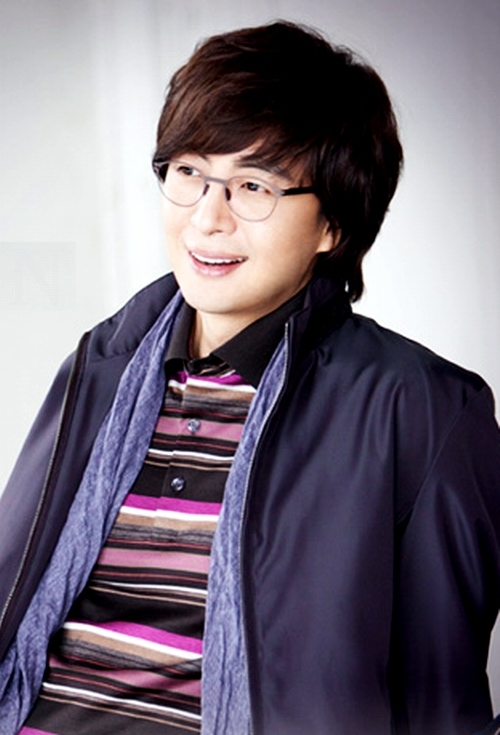 “Yonsama,” Bae Yong Joon, set off a real Hallyu and his popularity has remained unchanged. 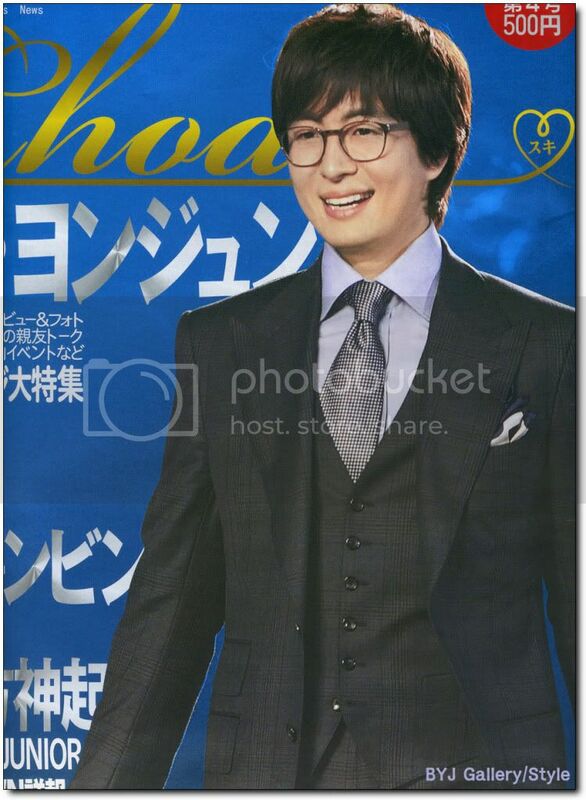 The premium event for KBS’s drama “Dream High”, which Bae Yong Joon participated in as a producer, was held at Saitama Arena in the first part of this month. About fifteen thousand fans came to see the main cast: Taeck Yeon, Suzie, Kim Soo Hyun, and Bae Yong Joon. The drama event, not a concert, was beyond expectations. Hundreds of Fans came to the hotel where Bae Yong Joon stayed. He has been using Baycourt Hotel at Odaiba, which is operated by a membership system, whenever he visits Tokyo for 2-3 years now, because his privacy can be protected there. But this time, there was an exception. [News] Jang Dong Gun: 'I Am Glad to Work with Zhang Ziyi and Cecilia Cheung'. The Chinese movie entitled "Dangerous Liaisons" held a production presentation in Beijing. "Dangerous Liaisons" (Chinese title "Weixian Guanxi"), which Korean director Heo Jin-ho will direct and starring Korean actor Jang Dong-gun as a protagonist, held the production presentation in Beijing on September 26. During the event held at LiJun Hotel located in Beijing, Heo said, "This will be my first attempt to make a blockbuster period drama with a huge budget, and I am highly anticipating directing this film. I will try my best to make a good film". A Chinese production company, China's Zonbo Media, will invest around 100 million yuan (equal to 18.5 billion Korean won), and two Chinese actresses, Zhang Ziyi representing China and Cecilia Cheung representing Hong Kong, will appear as the two female protagonists. The movie is based on an original French novel, and it will portray complicated and mysterious relationships between a man and two women against the backdrop of Shanghai in the 1930s. The novel has also been produced as a movie in Korea entitled "Untold Scandal", in which actors Bae Yong-joon, Jeon Do-yeon, and Lee Mi-sook appeared, in 2003. Heo Jin-ho also revealed his thoughts on working with the star actors by saying, "This movie has to express the internal desire of human beings tensely, so I think that the way to deliver those feelings and emotions of the characters will be very important. I will try to talk to the actors as much as possible to effectively present those emotions in a tense manner". In addition, actor Jang Dong-gun said, "I have always wanted to work with Zhang Ziyi and Cecilia Cheung, so I am very glad that I can appear with them in the film". 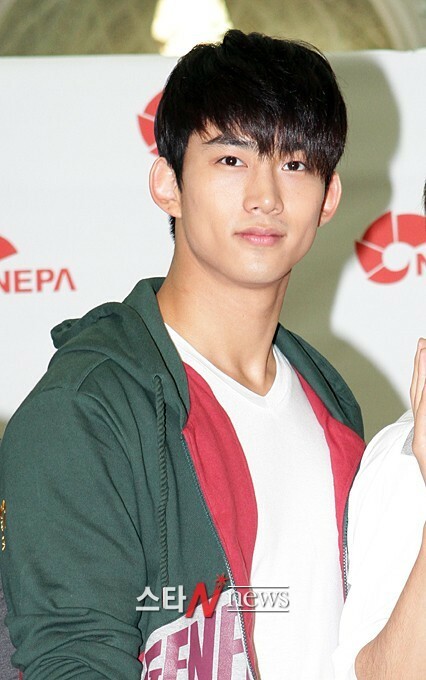 [News] 2PM’s Taecyeon added to the cast of Kim Tae Hee’s Japanese drama “Boku to Star no 99 Nichi“. Fuji TV has just announced that 2PM‘s Taecyeon is going to become a regular on their upcoming Sunday drama “Boku to Star no 99 Nichi“. “Boku to Star no 99 Nichi” is starring Japanese actor Nishijima Hidetoshi and South Korean actress Kim Tae Hee as the two main characters. Earlier this month, it was already announced that the young actress Sakuraba Nanami was added to the cast, making Taecyeon the fourth known regular on the show. The story is about a South Korean superstar named ‘Yuna‘ (Kim Tae Hee), who happens to fall in lover with her Japanese bodyguard ‘Kohei‘ (Nishijima). Taecyeon plays a mysterious young man called ‘Teson‘, who seems to share some kind of secret with Yuna that could have a big influence on her relationship with her Kohei. Teson used to live towards a certain dream, but he had to give up on this dream due to some unknown events in his past. However, it is Kohei’s niece ‘Momo‘ (Sakuraba) that makes him pursue his dream once again. We will have to find out what kind of events led them to cross each other’s paths, but it could be related to Momo’s growing jealousy towards the relationship between Yuna and Kohei. 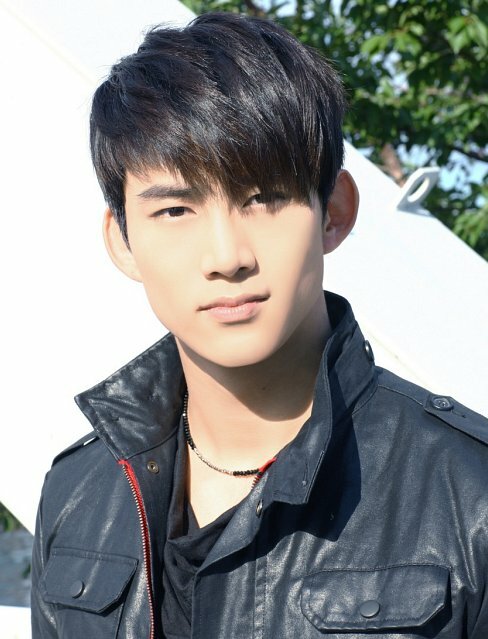 Taecyeon already played a couple of roles in Korean dramas, but it will be his first regular role on a Japanese drama. “Boku to Star no 99 Nichi” will premier on Fuji TV on October 23rd and air every Sunday at 9 pm. [Interview] Song Hye Kyo 'It Is My Honor To Be Compared to Actress Shim Eun Ha'. Director Lee Jeong Hyang said during the production presentation of the movie "A Reason To Live" that was held at Lotte Cinema Pacadiri on September 26, "When I made a comeback with 'The Way Home' after a three-year break, it was like coming back after being discharged from the military and being welcomed by many people. This time, I am making a comeback after a similar long break, and I really appreciate people's attention shown to my new movie." Lee was once the most promising female director from the end of the 1990s until the early 2000s. She debuted with her movie "Art Museum By the Zoo" in 1998, in which star actress Shim Eun Ha appeared as the female protagonist, and she garnered Best New Director's prizes at various film festivals in Korea at that time. When she released her second film "The Way Home," the movie achieved huge success, and almost 4.8 million people watched the film. She has been confirmed as a great director in terms of popularity and artistry, but it took almost nine years for her to produce her next film. Lee Jeong Hyang said, "I had written the synopsis for 'A Reason To Live' even before I debuted. After I finished filming 'The Way Home,' I announced that I would make a movie entitled 'Nobody Somebody' (the former title for 'A Reason To Live'), but as I wrote the script, I added my new thoughts that I could have as I was growing older, and I had to change the story to my new point of view. Since 2005, I had begun to write the script in earnest. I had only concentrated on writing the script." "A Reason To Live" is a story about forgiveness, and it focus on the changing mind of the protagonist named Da Hye, who is a documentary production director. Da Hye (Song Hye Kyo) lost her fiance in a hit-and-run accident. She eventually forgives the perpetrator with great effort, and she begins to produce a documentary with the subject of "forgiveness" one year after the accident. As she continues to film the documentary, one day she comes to think about the perpetrator -- who was a seventeen-year-old boy -- and when she has obtains information about the boy, she becomes totally shocked. Why does the director entitle the film "A Reason To Live?" Lee explained, "I have wanted to give at least some consolation to the families of victims of murder cases through this movie. Usually the law tends to be indifferent to the family of the deceased. I have agonized about how a neglected family of the deceased would live. If they are living while keeping anger inside themselves, their lives would be devastated. But I thought that they might have come back to their ordinary lives that they had had before the accident if they pushed their anger outside their lives and just tried to live. So I made up the title of 'A Reason To Live' with this thought." "Asia's star" actress Song Hye Kyo will appear as the protagonist of the movie. She has held activities across Asian countries so far, but she is making a comeback to Korean films after a four-year break since her last film "Hwangjinyi" in 2007. Song Hye Kyo said, "I was a huge fan of the director, Lee Jeong Hyang. When I heard the news that she completed the script, I made a call to her. And I actually fell in love with the script after reading it. I really wanted to appear in her movie." She also explained the reason why she had chosen this serious movie for her comeback film by saying, "After I read the script, I really wanted to play the character. I have not chosen any work after considering whether it was a commercial film or an art film. Instead, I have just chosen the work to appear in when I have come to have a thought of playing the character." "A Reason To Live" follows the emotion of the main character. Song, who has presented acting that usually expresses great emotion, said, "I feel difficulties whenever I act, but this time it was particularly difficult for me to act because I had to express emotion that cannot be seen on the outside. Except that, I could naturally concentrate on acting thanks to the director's help." Song Hye Kyo has been chosen as the third female protagonist of Lee Jeong Hyang's third movie, and she has already been compared to actress Shim Eun Ha, who had appeared in Lee's film "Art Museum By the Zoo." Asked whether she feels pressure about people's comparisons, she answered, "I am a fan of Shim Eun Ha, so I am very glad about it. It could have been critics, depending on the success of the movie later, but anyway it is an honor for me that people mention me and my senior actress together." The film was been released on October 27. [News] Kim Hyun Joong to Release Second Mini-Album "Lucky". Following the success of his solo debut, SS501's Kim Hyun Joong will be making another come back this year with his second mini-album, "Lucky." Officials of Key East Entertainment recently updated his homepage with new information regarding its release. The message read, "Hello, this is Key East. We hope that all of his fans are having a healthy and happy fall season. We have some good news to share for fans that are patiently waiting for Kim Hyun Joong's comeback. On October 11, Kim Hyun Joong will be releasing his second mini-album, 'Lucky,' online and in stores. 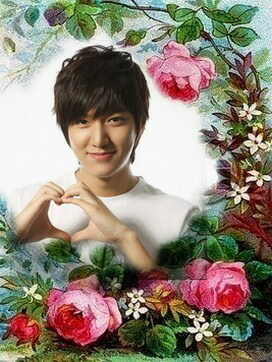 We ask that you give it a lot of love." 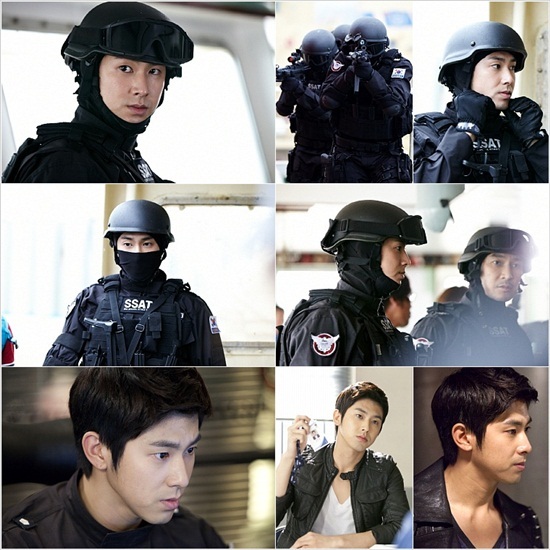 [News] Yunho exits on 4th episode of ‘Poseidon’ + possibility of return later in the series. Yunho has been the star featured guest on the new KBS 2TV drama, ‘Poseidon‘, but he will be making his exit after the 4th episode. This was Yunho’s first time taking up a role in a drama since 2009, and fans’ expectations were high for his ‘Poseidon’ character. Although he has reached the summit as a member of Changmin set the bar high performing his role in ‘Paradise Ranch‘, Yunho needed to step up his acting game. Thanks to his good looks and action scenes, his acting received well reviews across the board. Fans wanted to see more of him after news of him exiting the show had broken out. They demanded that Yunho’s character be given more lines, as he was one of the main leads in the first few episodes. They wanted to know more of his story and background. The staff hinted at a possibility of Yunho rejoining the cast later in the story. PD Ki Seung Mo stated, “There is a possibility of Yunho coming back on set. The drama is left flexible enough for him to possibly join us later on in the story.” Yunho’s character is a good mix of hot and cold and he is an essential character that may need to come back to tie the drama together in the end, they explained. Yunho’s character, Kang Eun Chul plays the role of a loyal officer who is linked with another main in the story and sacrifices himself to save Sunwoo (played by Choi Siwon). 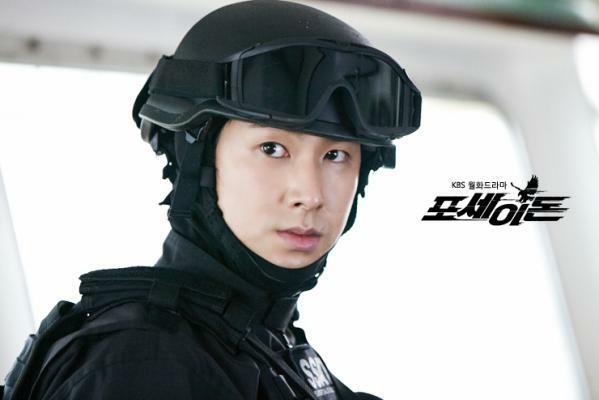 Yunho’s character Kang Eun Chul is the head of the maritime police special forces unit, and in the 4th episode he suddenly leaves the country leaving behind many questions left to be answered. [News] Tickets for Kim Hyun-joong Japan tour sell out. Tickets for Korean singer and actor Kim Hyun-joong's upcoming concert tour in Japan have sold out, according to his agency KEYEAST on Wednesday. KEYEAST announced in a press release that tickets for Kim Hyun-joong's seven-city tour in November, aimed at promoting his first solo album "Break Down," sold out within seconds of going on sale last week. Accordingly, Kim's Japanese agency Digital Adventure (D.A.) is currently in discussions on adding extra dates to the tour for fans who have inquired about the tickets after failing to purchase them. Kim recently finished promoting "Break Down" in several regions in Asia including Japan, Vietnam, Taiwan, Singapore, Malaysia, Thailand and the Philippines. The album, released simultaneously in Korea and in the aforementioned countries in early June, had topped a number of online and offline music charts. Originally a member of boy band SS501, Kim has become one of Asia's most popular idol stars since starring in "Boys Over Flowers" with Lee Min-ho, Kim Beom and Kim Jun in 2009. He is currently preparing for the release of his second mini-album which will hit stores in mid-October. [News] Actor Ahn Jae Wook To Romance Actress Nam Sang Mi In "Lights And Shadows". Ahn Jae Wook returns to the small screen after nearly three years of absence. Although, the actor performed in the musical, “Jack the Ripper” and starred in the 2009 movie, “Triangle,” this will mark his comeback to television. He will be starring in the upcoming drama, “Lights and Shadows,” where he will take on the role of Kang Ki Tae. The drama plays with its setting as it connects modern history with the past; specifically starting in the 1960s and the Vietnam War. Ahn Jae Wook will play the role of the first national entertainer for soldiers in the war. Alongside the actor, it has been recently confirmed that actress Nam Sang Mi will be of his love interest. Nam Sang-mi takes on the role of movie actress Lee Jung Hye, who comes from a family of show business singers. She is the one who is loved by Kang Ki Tae and Cha Soo Hyuk, played by Kim Min Jong, both who are her childhood friends. The drama will also star Singer/Actress Son Dam Bi. Meanwhile, the drama will be broadcasted following “Gyebaek” on MBC in November. [News] Ex-Super Junior member Han Geng free from legal quagmire? Chinese singer-actor Han Geng , formerly from K-pop boy band Super Junior , can put his legal troubles behind him, for now at least. A joint press statement released on Monday by the legal representatives of Han and his former employers, SM Entertainment, said that the contract dispute between Han and SM Entertainment has been settled amicably, reported Chinese media. "Han Geng and SM Entertainment have arrived at a satisfactory settlement. "After discussions, Hang Geng has decided to withdraw his lawsuit against SM Entertainment," the statement said. "Han Geng will continue his present activities in China but there are no concrete plans for activities in Korea." "According to the terms of the agreement signed by both parties, the details of the agreement cannot be publicised. [We] hope the various media will understand." Interestingly, the statement made no mention about whether Han is still contracted to SM Entertainment. Industry observers say this relatively ambiguous outcome benefits both parties, as Han Geng's showbiz career will no longer be bogged down by a protracted legal tussle, and SM Entertainment gets to avoid any potential negative publicity even if the case does not go their way. Han took SM Entertainment to court in 2009 over what he described as "extremely stressful work schedules", "unfair monetary penalties for breach of contract", and his "unreasonably long" 13-year contract with his former employer. Han asked to terminate his contract with SM Entertainment, and the motion was granted by Korean courts in 2010, which declared that his contracts with SM Entertainment were not binding. However, SM Entertainment appealed against the decision and continued to contest Han's claims until they arrived at an agreement this month.